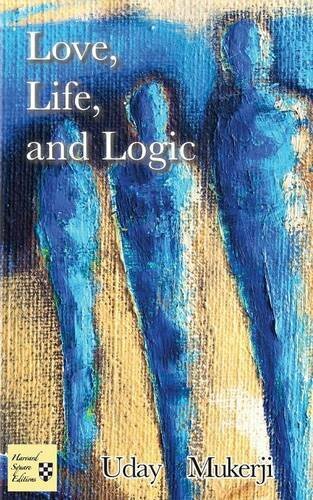 Article first published as Book Review: ‘Love, Life, and Logic’ by Uday Mukerji on Blogcritics. “Love, Life, and Logic” by Uday Mukerji begins with Rohan Fernandez waking up to find Adeline, a German student from the University of Vienna, lying next to him. He remembered her coming to his apartment with her two roommates and inviting him to go out with them. He now he realized that he did much more than just go out for a while! Rohan was mortified. He had just arrived in Vienna a few days before, leaving his wife, kids, and a six-figure job, to go through a personal journey in search of answers to all the questions within him that tortured his heart. He never had the intention to connect romantically with anyone, but here she is! Rohan didn’t know it yet, but Adeline would not only raise more questions to add to his long list, she would also stick around and travel with him, inspiring many feelings in him. Although the storyline seems simple, the reflections Rohan has to face to find his truth are deep and complex. Rohan’s journey will inevitably provoke deep questions about the readers own lives, which will linger long after finishing the book. In the beginning, I expected a different writing style, maybe with more ‘show’ and less ‘tell.’ However, as I read along, I realized that the narrative story-telling style chosen by the author made sense. As I read on further, I felt the narrator was having conversations with himself. I felt his doubts, his fears, his surprise when discovering something new, his sadness as he felt lost and alone, and his happiness as he evolved. In this sense, Uday Mukerji did an awesome job with his craft. But, having said that, I do feel that the book needed a better professional editing, as some grammar flaws took me out the story as I tried to make sense with a sentence, making the flow a little choppy for me. I am not sure if this has to do with a language barrier, but I think it could have easily been easily corrected by a professional editor. The character development was good, but although I really liked Adeline, and think she felt genuine, real, and current; I could not empathize a hundred percent with Rohan. Somehow, I felt he was extremely selfish by leaving his wife and children. I am not sure if the author could have made him more likable for me, but that disconnection did affect my appreciation of what he was going through. Overall, I really loved the storyline of “Love, Life, and Logic,” by Uday Mukerji. I believe his journey is one that we all live at some point, and as such, all readers will be able to relate to and enjoy this book. I would have given this book a higher rating if the editing was better, but as it stands, I rate it as a good book. I recommend it to all who find themselves plagued with deep questions and are looking for answers, and a fulfilled life.